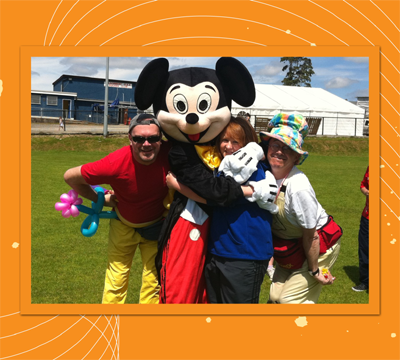 We have The Really Big Show for your children’s entertainment. It can be 2, 3 or 4 hours long and can be performed in the local hall, function room or on your own premises – outdoors as well as in indoors! All acts and timings all flexible. PLUS Balloon Models and/or face painting for all the children and games, gags and dance-a-longs with the odd spot prize for the maddest and bestest. We also supply the full PA system, music and lights.